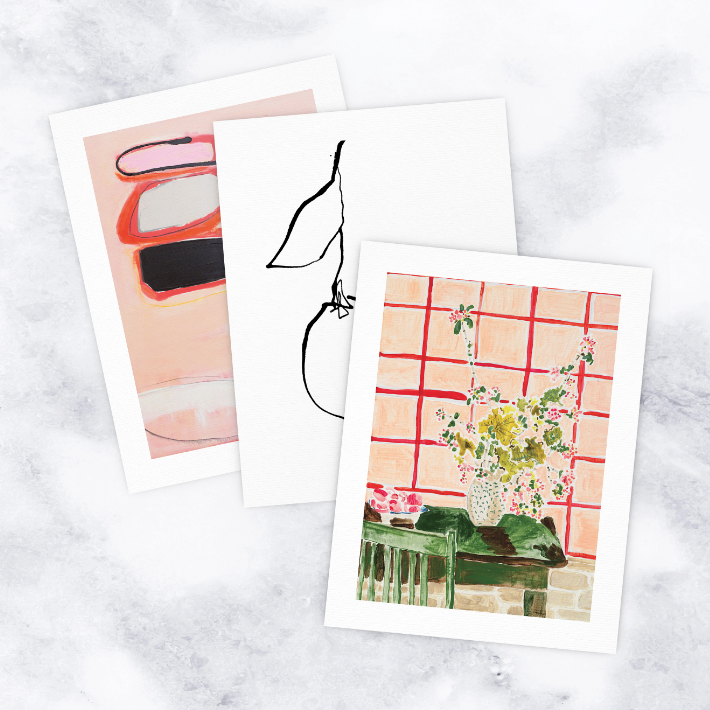 Our team is excited to launch the Trios collection, a three-pack of art prints to hang, pin and frame. 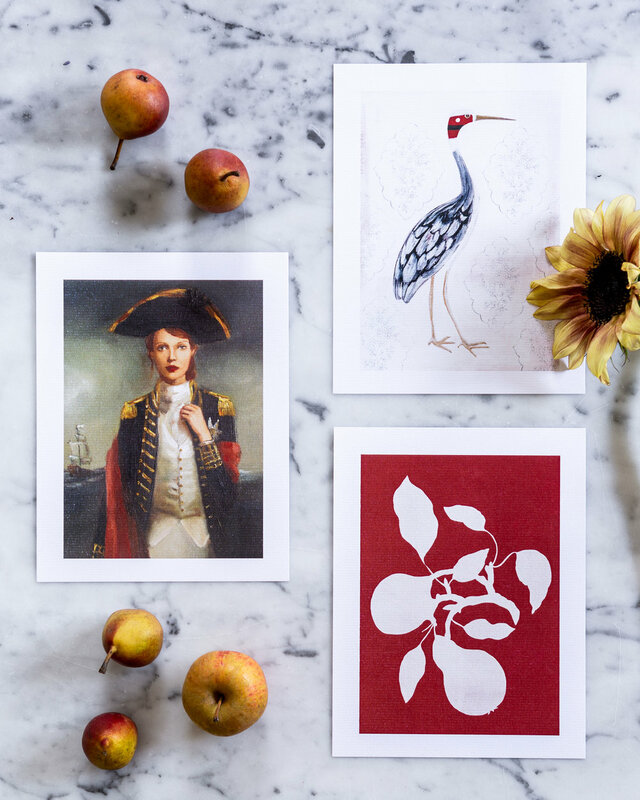 This compact version of our popular gallery walls was curated to include a mix and match of intriguing prints that look as good together as they do on their own. 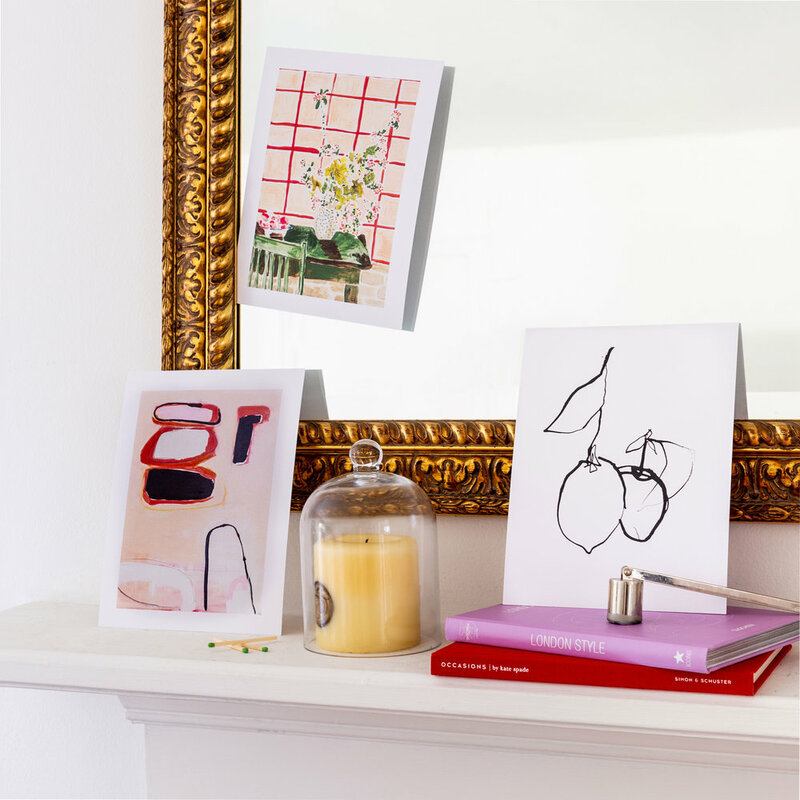 For your office, mantel, vanity and anywhere else you might want to display your favorite pieces. Flowers by Tali Yalonetzki, Ruth by Tali Yalonetzki, 1984 by Eran Partouche. 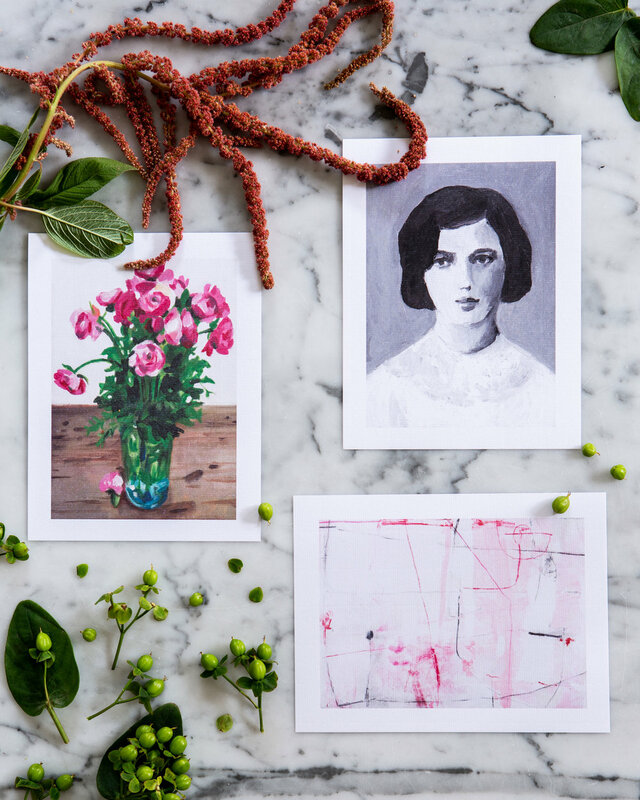 Pink Ink Flower Pattern by Paula Mills, China Vase by Paula Mills, Purple Bouquet on Pink by Sonal Nathwani. Lemon by Polly Mann, Ploughed II by Emma Lawrenson, Vase with Yellow Flowers by Liana Jegers. 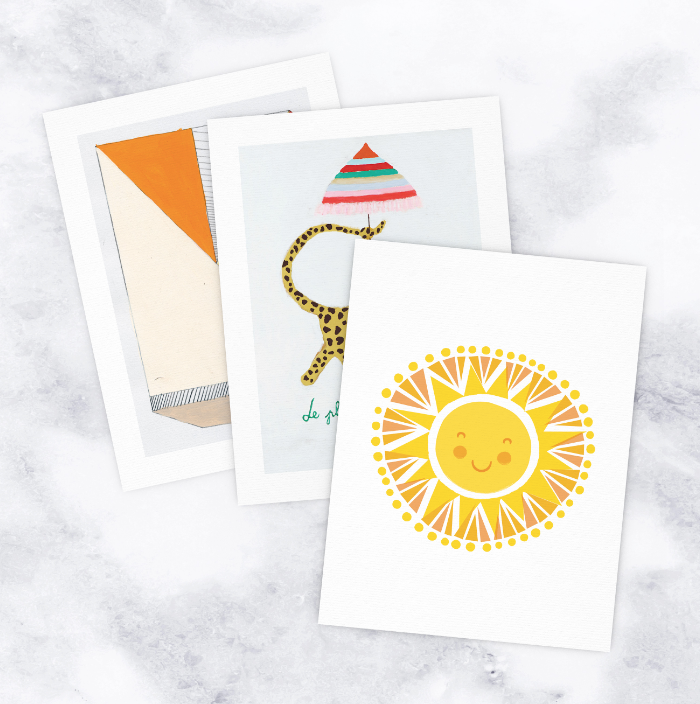 NY17#16 by Jennifer Sanchez, Little Sunshine by Rob Blackard and Leopard by Gitte Brandt. Pears by Ruti Shaashua, Her Faced Launched a Thousand Ships by Janet Hill, Agret by Ruti Shaashua. 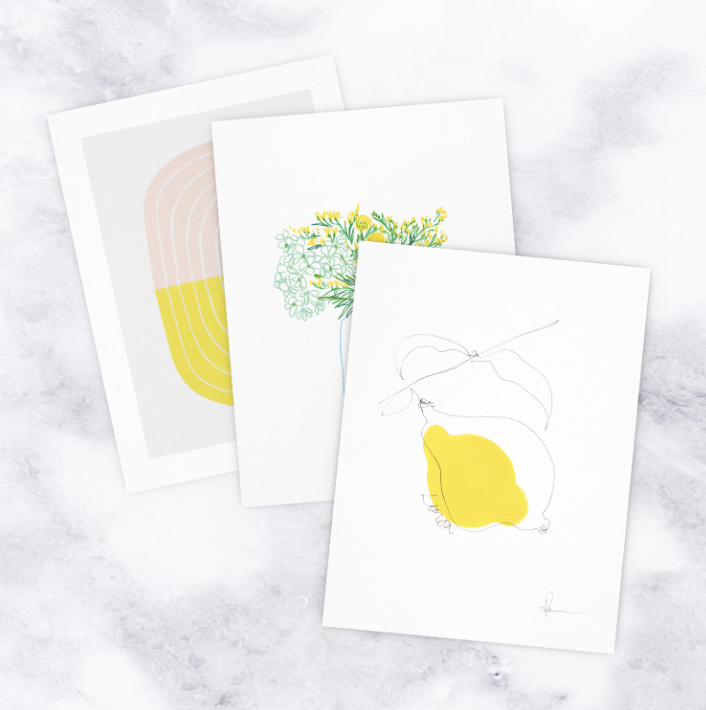 Sunroom with Apples on Green Table by Kate Lewis, Lemons 1 by Ashleigh Ninos, Luni by Holly Addi. 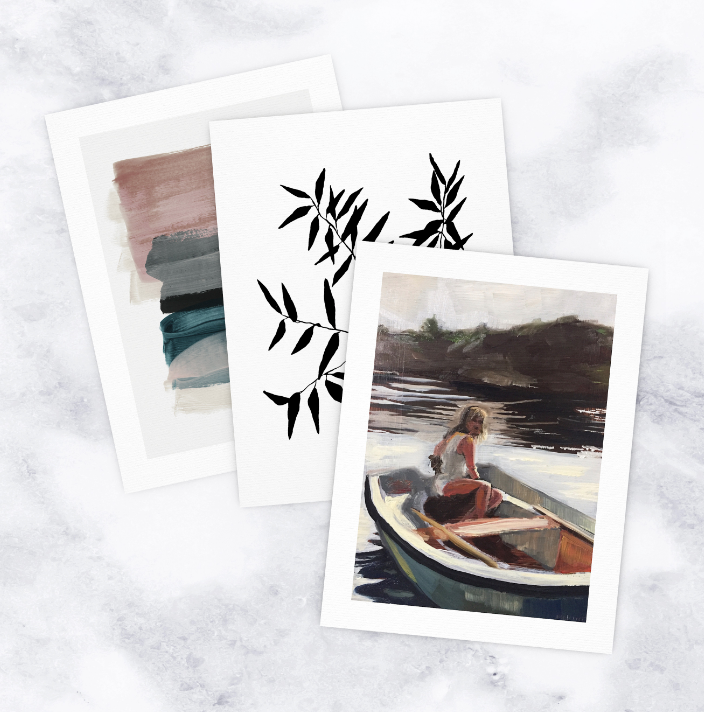 Girl in Boat by Philine van der Vegte, Thin Branch by Kate Roebuck, Minimalism 1 by Iris Lehnhardt. Lilies by Lynne Millar, Ocean by Laurie Maun, The Constant Reminder by Erin Armstrong. Flowers for Sabrina by Kate Lewis, My Crazy Coat by Meta Wraber, Autumn Arrangement on Pink by Sonal Nathwani.